At least 100 medical marijuana dispensaries in Colorado queued up to submit applications for recreational cannabis licenses on the first day of the process, reflecting sizable interest in the new industry and promising to pump hundreds of thousands of dollars into state coffers. 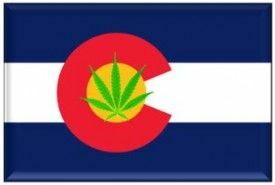 The Colorado Marijuana Enforcement Division (MED) said it accepted 14 applications for retail centers (as well as 14 for their associated cultivation sites) on Tuesday and scheduled appointments for another 119 applicants seeking marijuana business licenses. Most of the applicants awaiting appointments are dispensary owners looking to transition into recreational cannabis. In total, at least 20% of medical marijuana dispensaries in the state threw their hat into the ring on Tuesday, which marked the first day Colorado began accepting applications for adult-use cannabis business licenses. The actual number of dispensaries seeking licenses is much higher, though. The state requires interested parties to get an appointment before officially submitting their applications, a bid to ensure the initial paperwork is complete. At the appointment, applicants can seek multiple licenses. The owner of a chain of five dispensaries, for instance, might apply for five retail marijuana shop licenses and several cultivation site licenses at one appointment. So there’s a good chance at least some of the 119 applicants who secured appointments will apply for multiple retail locations. Additionally, dozens – if not hundreds – more will likely submit applications in the weeks to come. Still, moratoriums and bans on recreational marijuana operations in cities across Colorado prevent many business owners from applying. And other MMJ leaders have decided not to move forward with recreational immediately, taking a wait-and-see approach. Despite the huge profit potential – the Marijuana Business Factbook estimates that Colorado’s adult-use market will generate $500 million in sales next year – there are some notable downsides to pursuing the market. The biggest: high taxes on adult-use sales could erode profit margins. Colorado voters will weigh in on a proposal that calls for a 10 percent sales tax on recreational cannabis and a 15 percent excise tax. Individual cities are also implementing their own taxes. The rates are much higher than the current tax on medical marijuana. Additionally, there are still dozens of question marks surrounding the nascent recreational marijuana industry, as Colorado is navigating uncharted waters. So the risks are even higher than they are on the medical side. It’s also not cheap. The application fee totals $500, but applicants must also pay for the actual licensing fees – which range from $2,750 for a cultivation, testing and products manufacturing permit to as much as $14,000 for a large retail store – when they apply. Given these factors, the prudent decision for some dispensaries with lower risk tolerance and fewer financial reserves may very well be to stay the course and stick to medical. The application process is only open to current MMJ business owners at this time. Other entrepreneurs can apply for licenses starting next fall. Once the marijuana enforcement division “accepts” an application, the agency then begins an in-depth review and must make a final decision within 90 days under the state’s cannabis laws. Those that apply before Oct. 31 will get a decision before the end of the year, an MED spokeswoman said. That will allow them to open as early as Jan. 1 – when retail marijuana shops are allowed to launch. Aside from the 14 retail and 14 cultivation centers, the MED also accepted an application Tuesday from an infused-products provider. Additionally, it gave the initial thumbs-down to eight applicants trying to tap the recreational cannabis market in cities that currently don’t allow recreational sales. “the prudent decision for some dispensaries with lower risk tolerance and fewer financial reserves may very well be to stay the course and stick to medical.” No one seems to understand that the majority of the ‘recreational’ tourism and purchases expected will be MEDICAL–Colorado dispensaries are not at all prepared for the onslaught of medical patients preparing to come here next year thinking they are get the “cure” for cancer at any recreational cannabis store–this will not be the case. A lot of licenses and a lot more education is needed!! I’m trying to convince Florence, CO to authorize one Recreational/Medical outlet, plus the other four licenses, making it possible for all 6 licensed operations to provide income for our city. We have a workshop tonight, and here’s my spiel. ’s About Money and it’s Legal. Let’s Move Ahead with Prop 64! Let’s take a look at some of our choices November 5th. 2. Question 1A – A yes vote adds 1% to Florence’s sales tax increasing it 14.5% from 6.9% to 7.9%. 3. Proposition AA – A yes vote approves a 15% excise tax on wholesale recreational marijuana sales, and a 10% sales tax on retail recreational marijuana sales. These are Sin Taxes* estimated to produce in 2014 a revenue of $27.5 million for building schools, and an estimated $6 million to be shared by local governments participating in the program (See Chart). Each of these industries require a separate license. I’m referring to the Permanent Rules Related to the Colorado Retail Marijuana Code dated September 9, 2013. If the voters approve Proposition AA, and IF the City Council decides to opt in, our schools will share in the first $40 million from the excise tax, and as a city we will receive an additional 1.5% in sales tax from recreational marijuana sales within the city limits. If Proposition AA doesn’t pass, we still need these businesses in Florence. Since Fremont County, and possibly Canon City are opting out of this revenue source, the economics of scarcity apply, and business licenses for these businesses become so valuable one of each should be put up for bid. Also we will still collect the 1.5% city sales tax on recreational marijuana sales. These industries do not need to be in or near our downtown. I would suggest that we move ahead with the annexation of the property at Highways 50 and 67, and allow cannabis operations in that area. Due to the proximity of Hwy 50 the revenue from sales tax generated from one Recreational Marijuana outlet plus the cost of the license will be considerable. We do not need to put this to a vote again because, when Florence voted in favor of prop 64, that amounted to tacit or implied approval of locating those operations in Florence. By the time this could go before the voters once again, Florence will have missed the window of opportunity and these establishments will have set up elsewhere. If our City Council approves licensing of one or all of the well-regulated industries listed above within the Florence city limits we will soon be able to move ahead with sidewalk and street improvements, educational and other programs we so badly need in Florence. Sin taxes are typically added to liquor, cigarettes and other non-luxury items. State governments favor sin taxes because they generate an enormous amount of revenue and are usually easily accepted by the general public because they are indirect taxes that only affect those who use the products. When individual states run deficits, the sin tax is typically one of the first taxes recommended by lawmakers to help fill the budget gap.